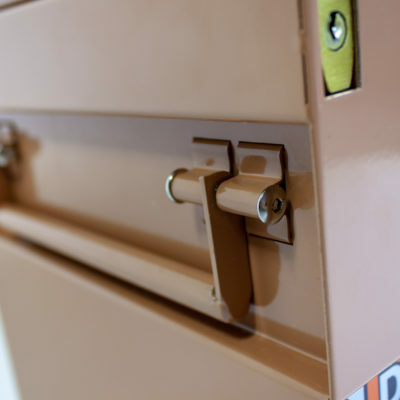 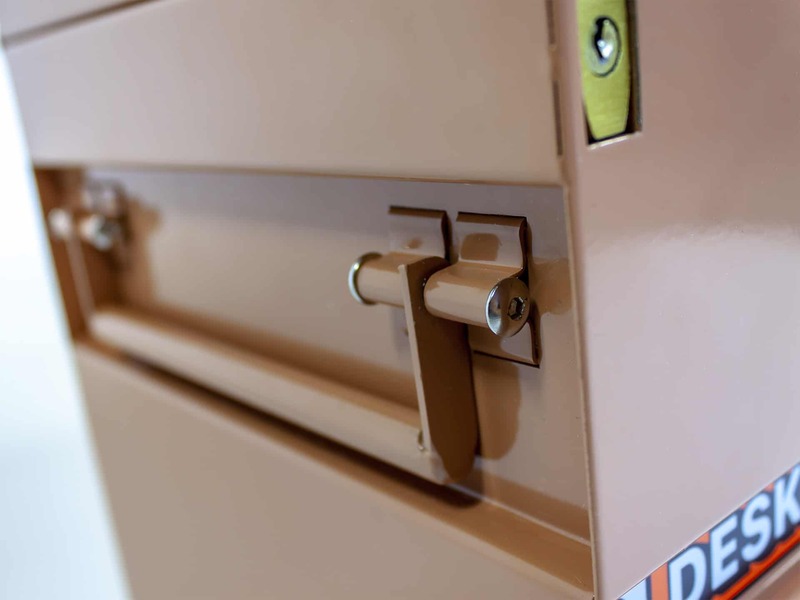 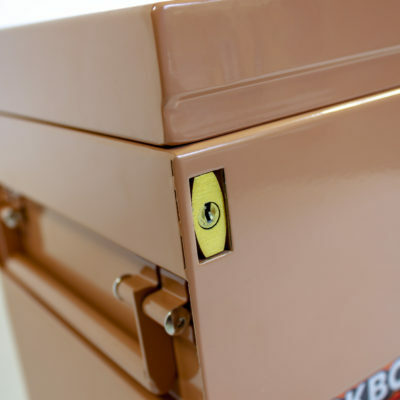 The all-new Deskbox from Dumpsty is a scaled down version of popular jobsite and tool storage boxes. 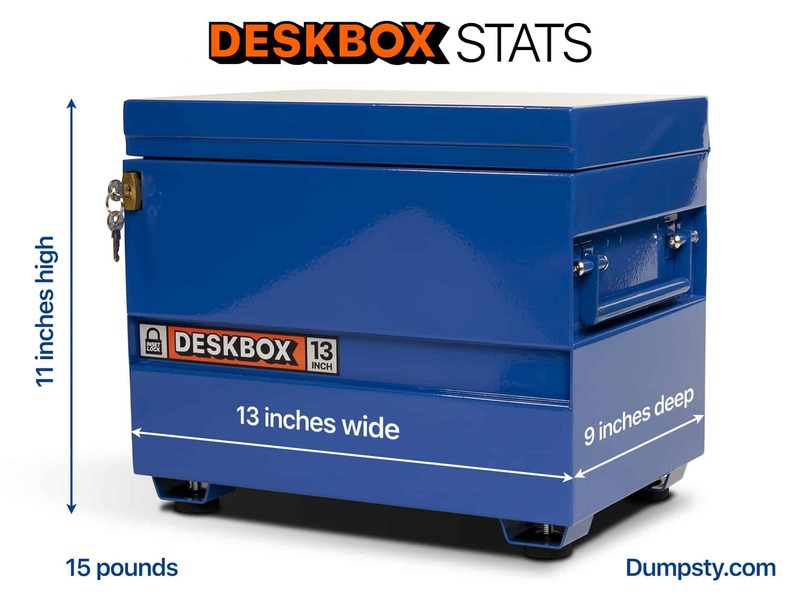 Deskbox is ridiculously tough for its size. 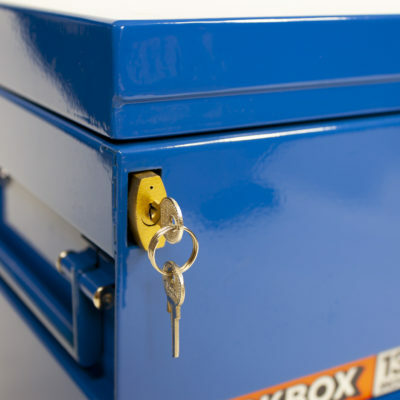 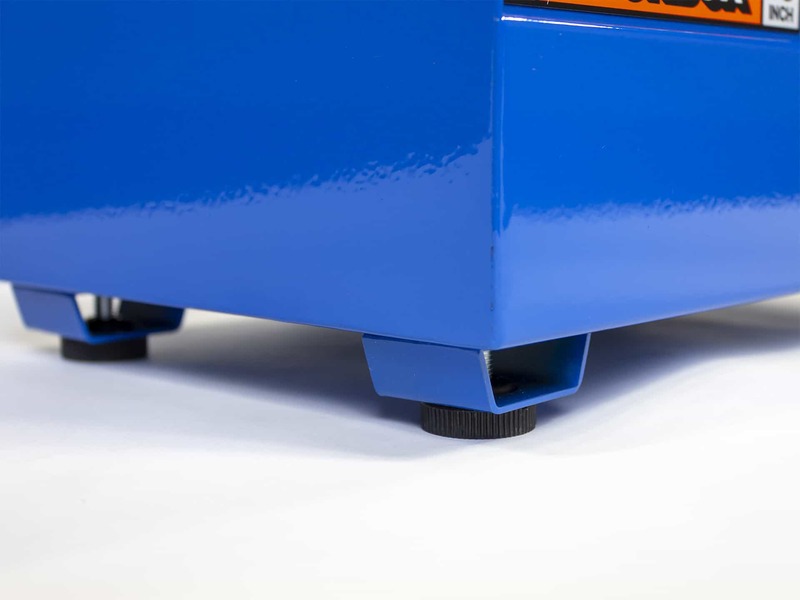 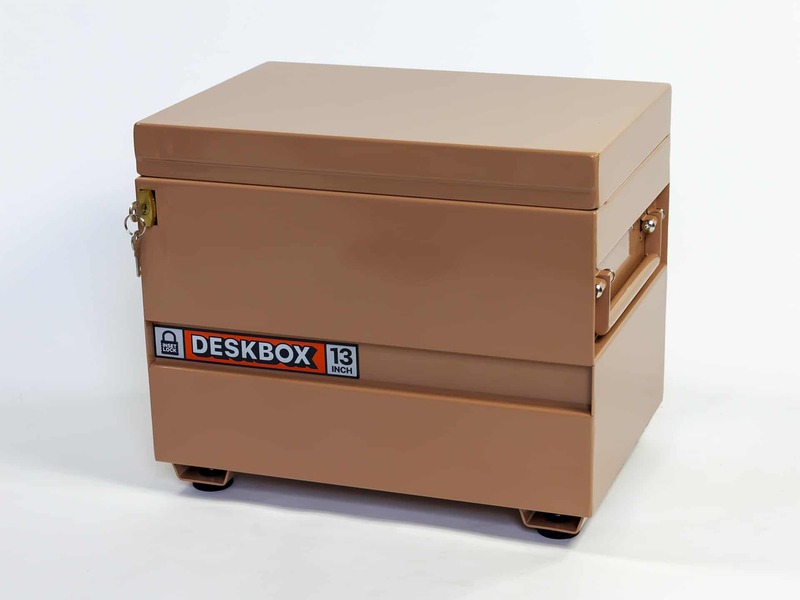 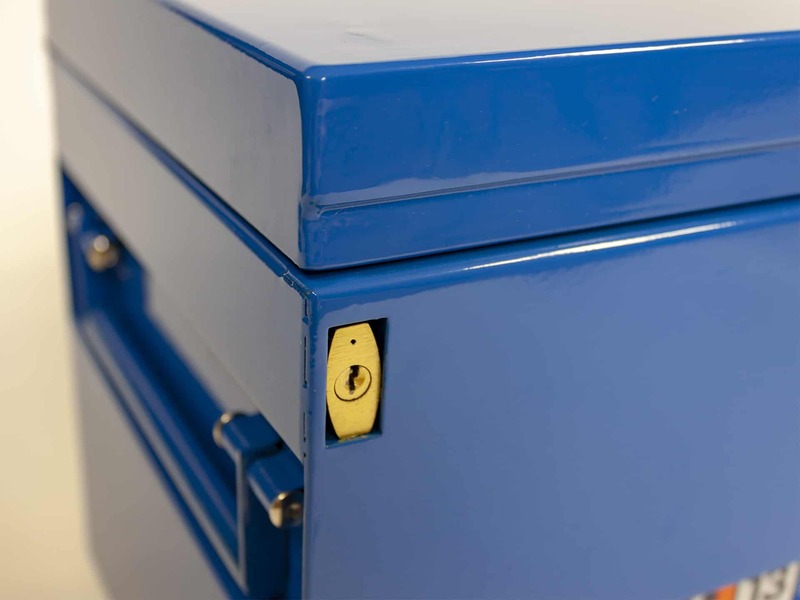 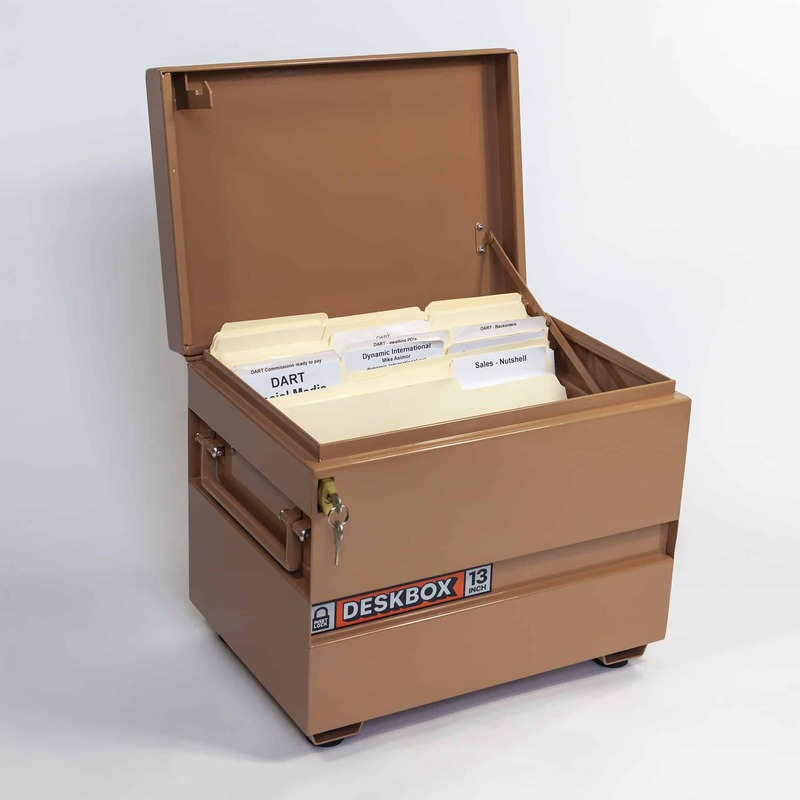 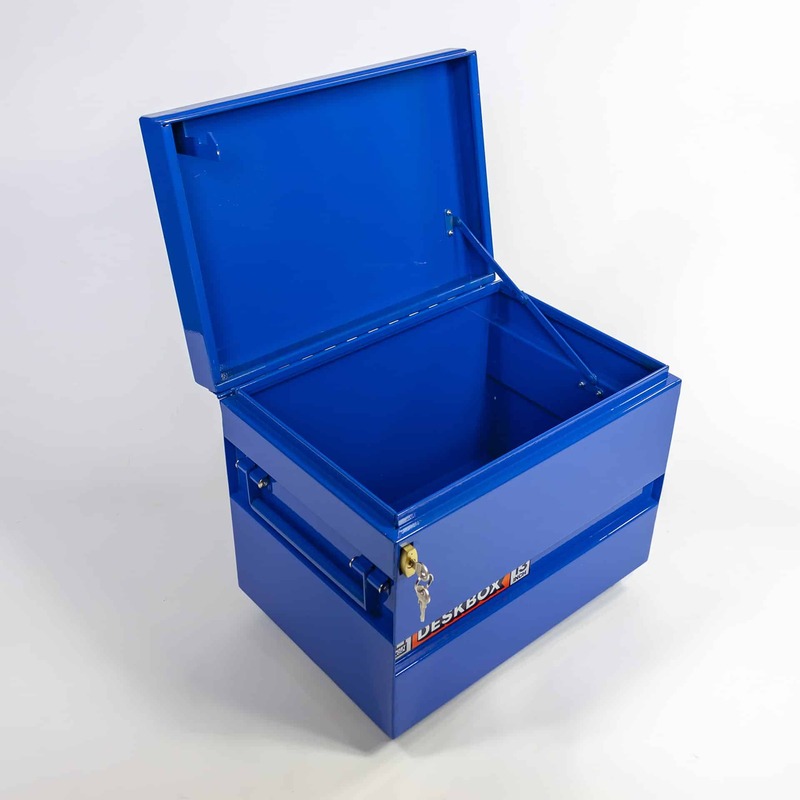 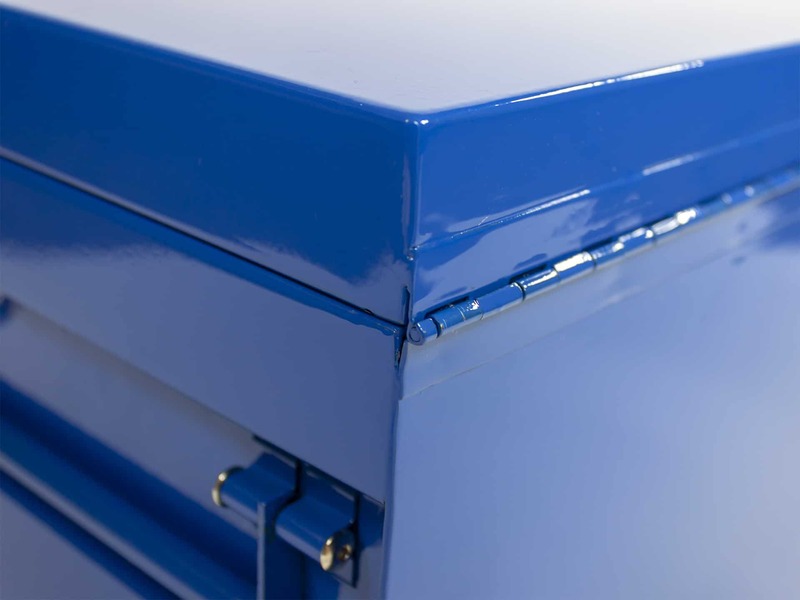 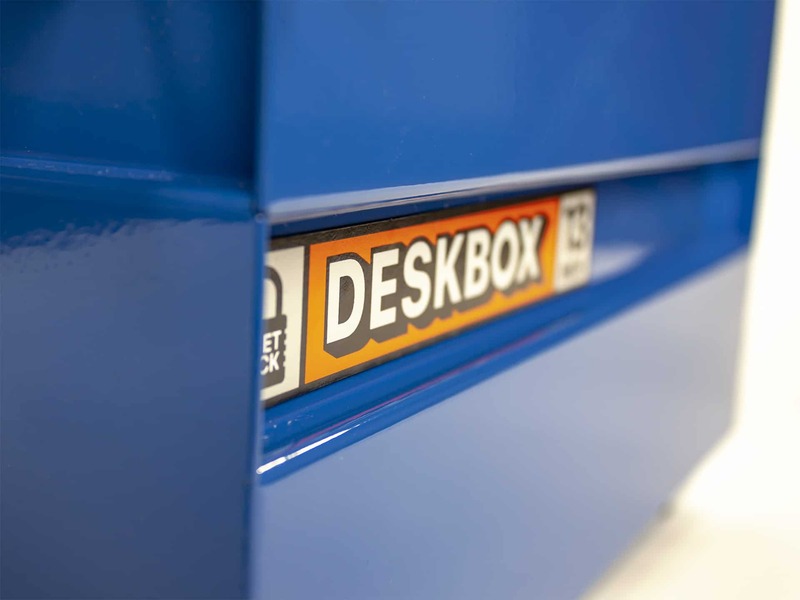 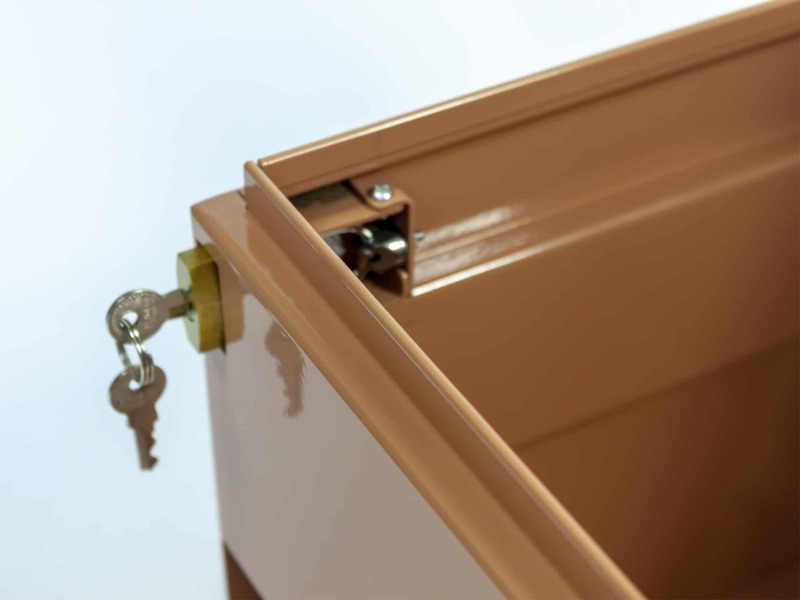 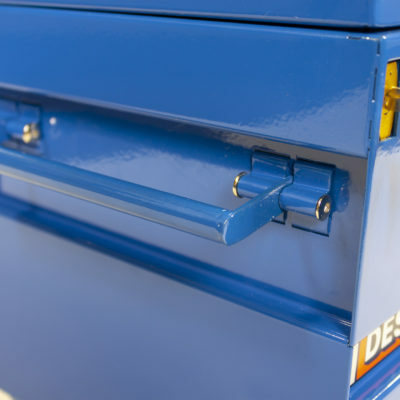 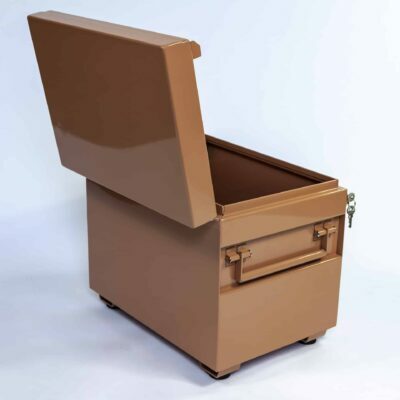 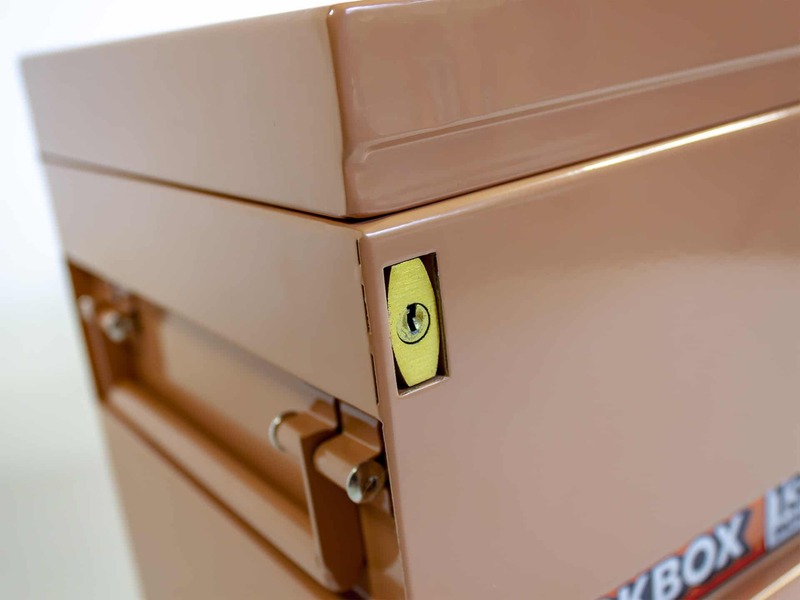 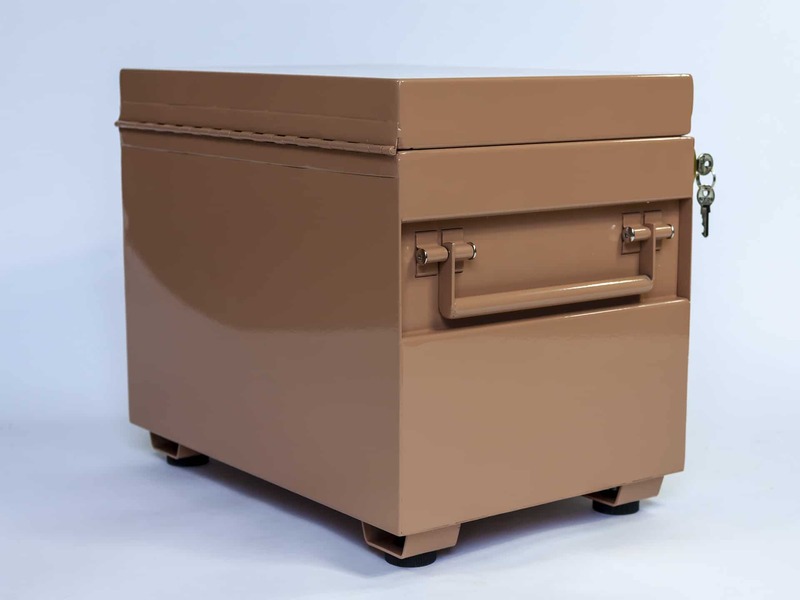 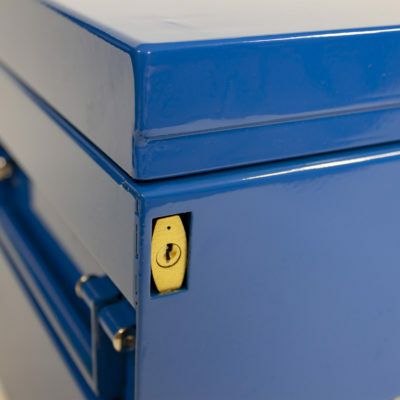 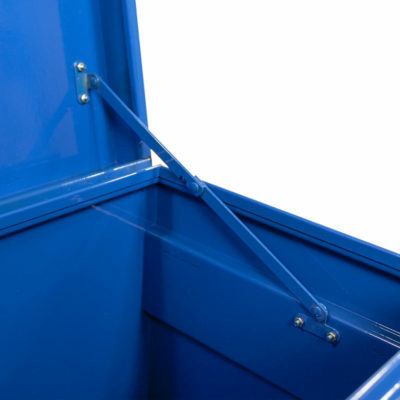 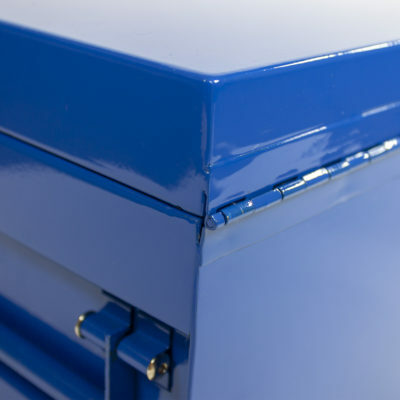 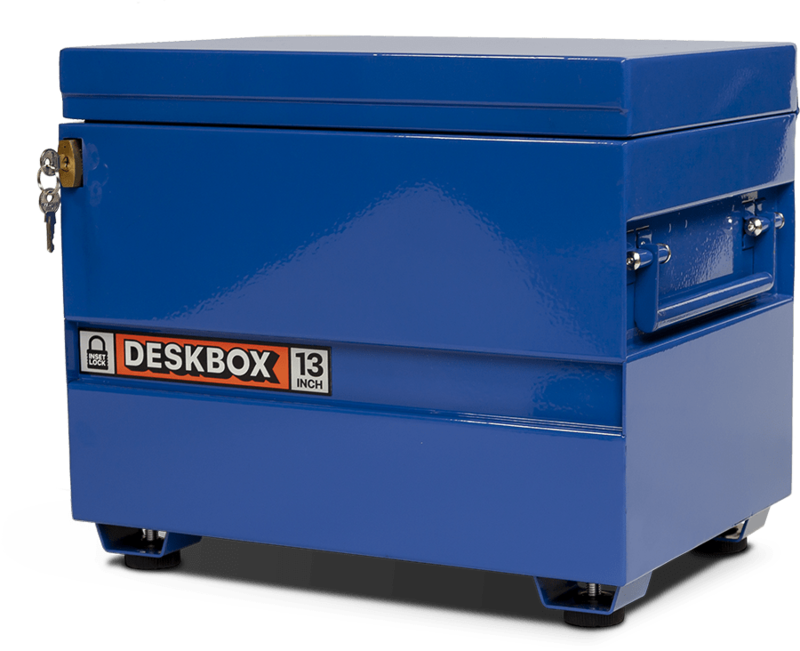 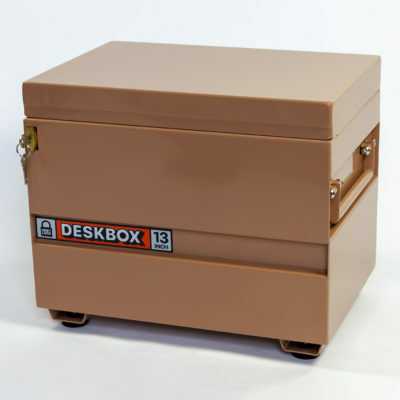 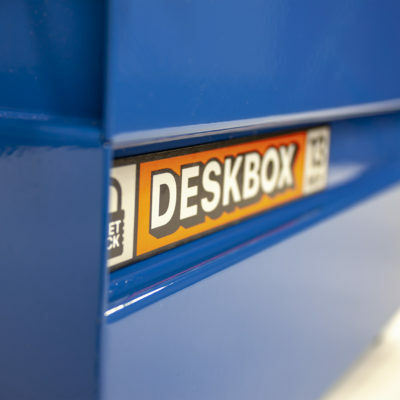 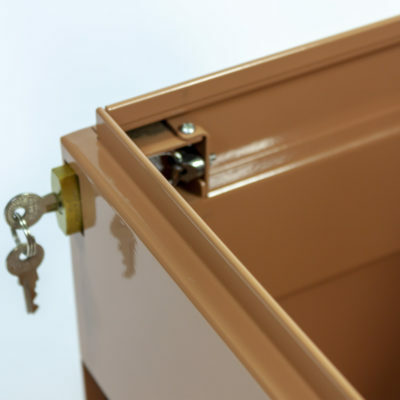 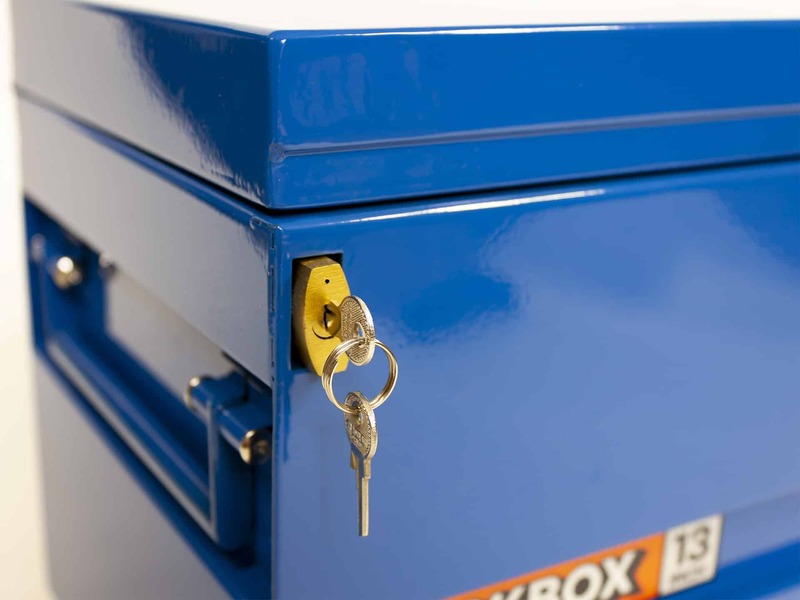 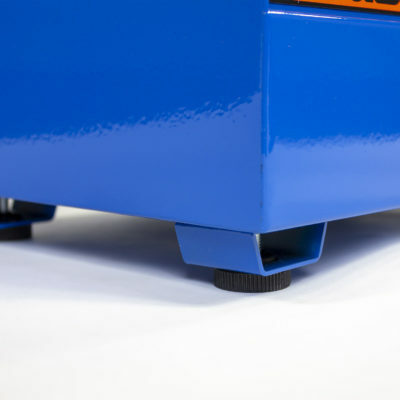 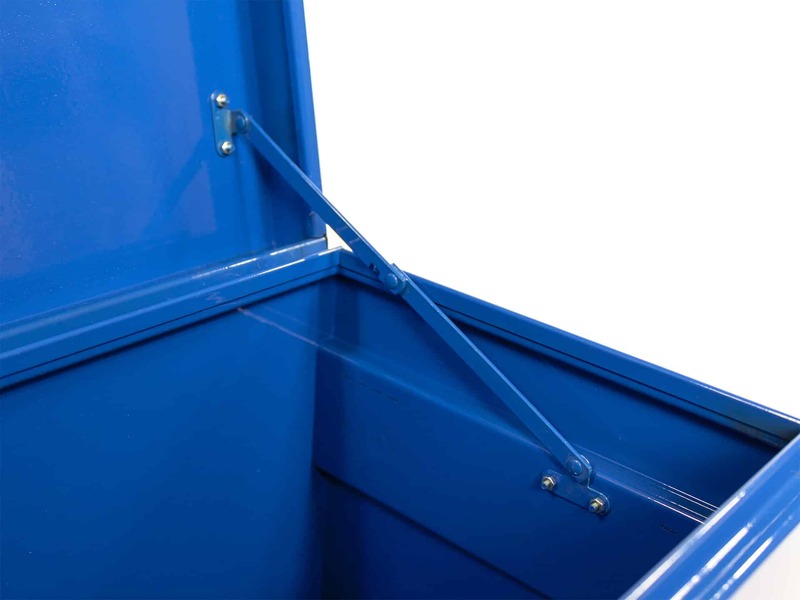 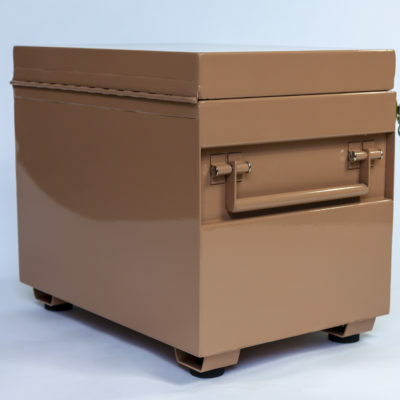 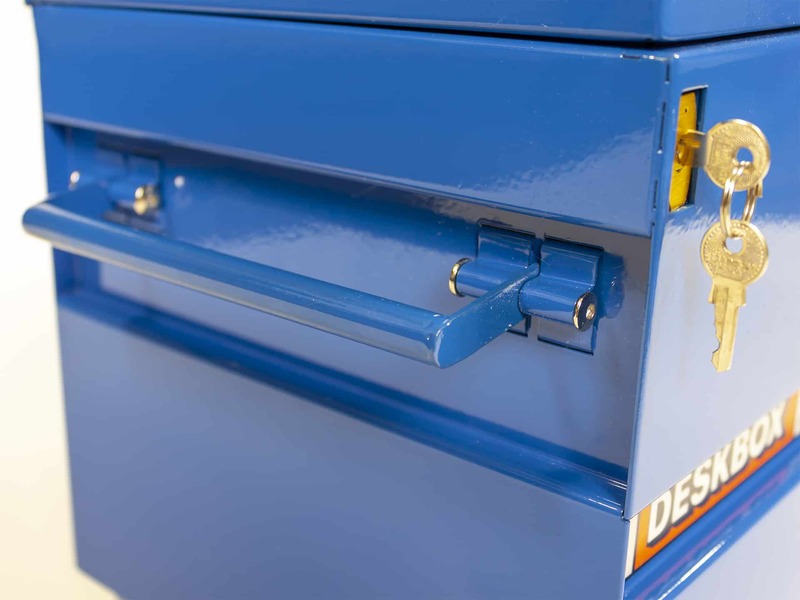 Made of steel and powder-coated in blue or tan paint, Deskbox includes the same features as a full-sized jobsite box including a recessed lock, locking lid bar, working side handles, and removable skids with rubber feet – yet its designed to fit neatly on your desktop and perfectly sized to hold standard file folders or other private treasures.